Mr. Henry H. McDowell, age 97, passed away on Saturday, January 26, 2019 at Roman Eagle Rehabilitation and Health Care Center. He was the last survivor of his generation. He was born on June 24, 1921, in Pittsylvania Co., VA, to the late Jack McDowell and Gillie McCrickard McDowell. 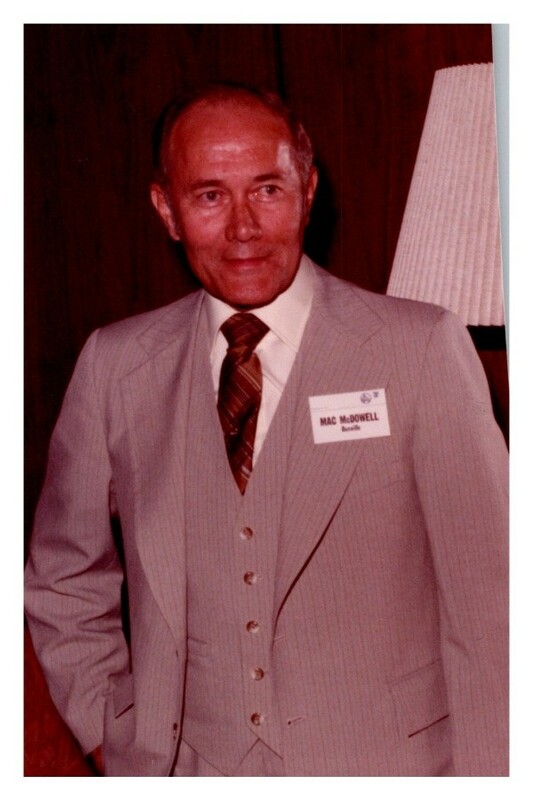 Mr. McDowell worked in the spinning room in Dan River Mills for 20 years and later he worked as an Agent & Staff Manager for Pilot Life Insurance, and he was a member of Westover Baptist Church. He served his county, during the WWII in the United States Navy. Mr. McDowell also served in the Pacific Theatre. He is survived by his daughter, Patricia G. Finch, of Danville, VA; and grandson, Patrick Vance Finch. In addition to his parents, Mr. McDowell was predeceased by his wife, Mary Matherly McDowell; son, Carroll A. Grant; sisters, Inez Blalock, Mozelle Campbell, Leonie McDowell, Bernice Handy, and Avis Tinsley; and brothers, Onyx, Carroll, Chalmers, Wilton, Randy, and Wallace McDowell. Graveside services will be conducted at 1:00 p.m. on Tuesday, January 29, 2019 at Highland Burial Park with Dr. Doug Barber officiating. The family would like to extend a special thank you to the staff on the North Terrace Wing at Roman Eagle, for the special care Mr. McDowell received during his stay at Roman Eagle. Swicegood Funeral Service is respectfully serving the McDowell family.